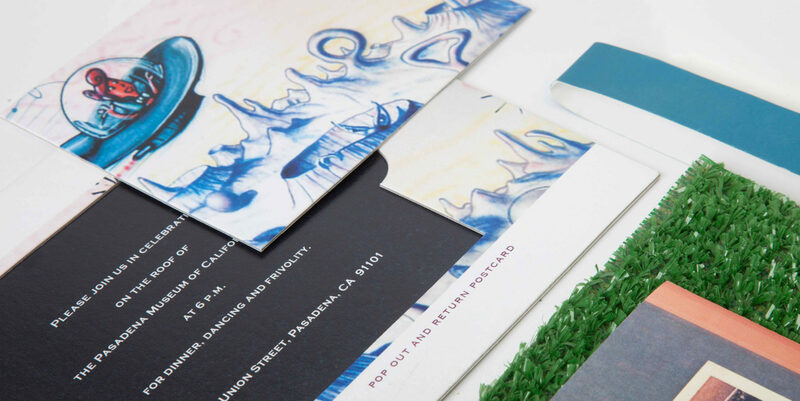 For this bee-themed invitation we got busy creating a letter-pressed announcement card on heavy hand-made paper. 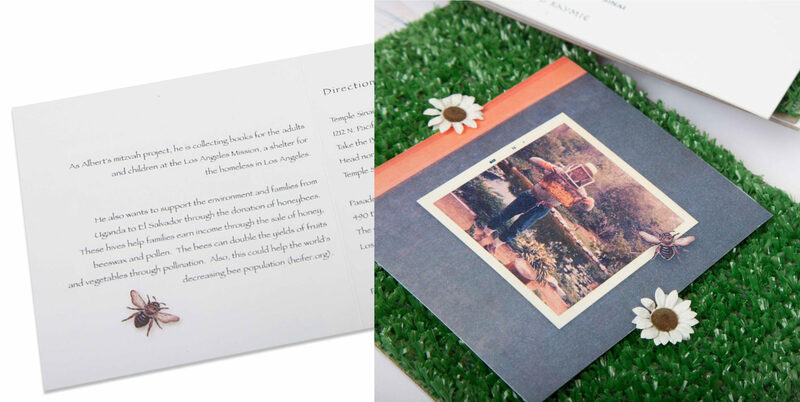 A fun Astroturf panel, mounted on chipboard and embellished with flowers holds a picture of the boy’s beekeeper grandfather and a description of his mitzvah project on the back (providing beehives for needy families). 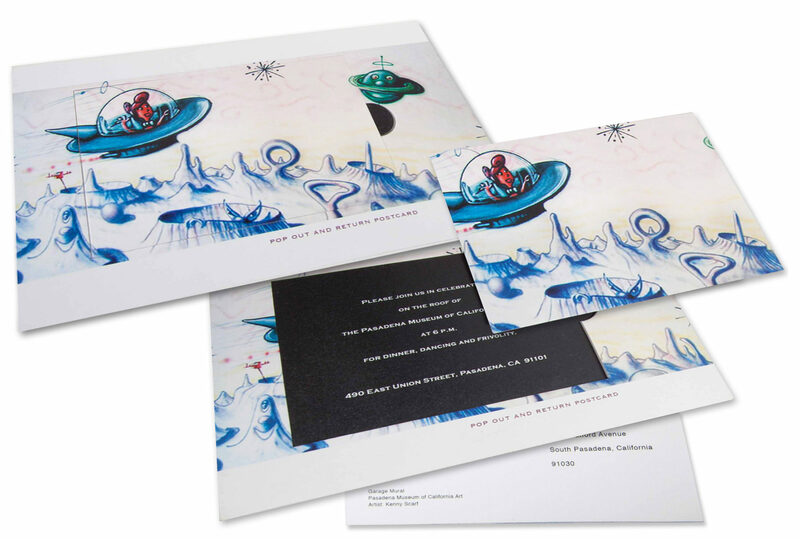 A pop art RSVP card lifts out to reveal the reception information. 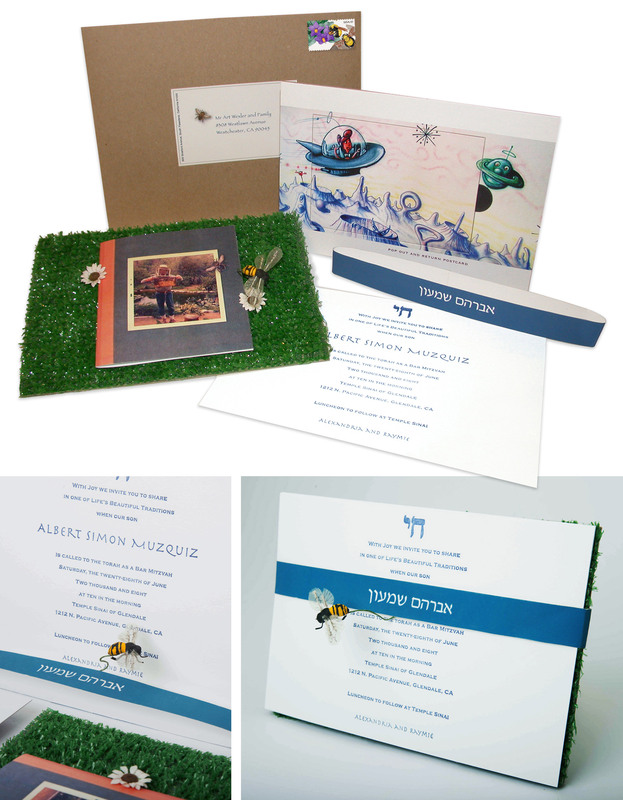 A paper band imprinted with the boy’s Hebrew name and buzzy bee hold it all together.